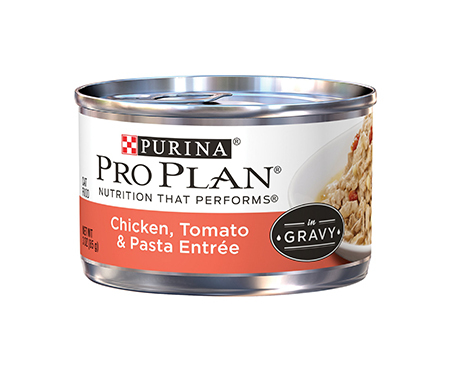 The Purina Pro Plan Savor Adult Chicken, Tomato & Pasta Entree in Gravy Canned Cat Food brings out the unique greatness that you see in your cat. Because you are devoted to your cat, Purina is devoted to helping your cat thrive. 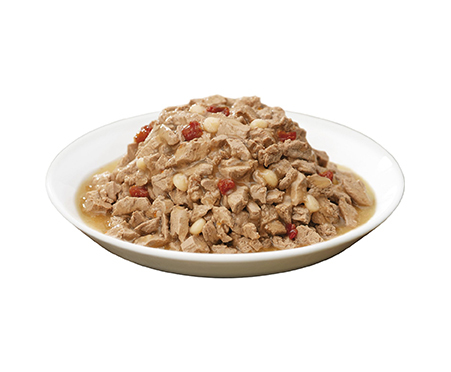 That’s why this high-quality recipe is made with both outstanding taste and extraordinary nutrition, allowing your cat’s full potential to shine through. Featuring the nutrition he needs for a healthy, active life, it’s made with optimal protein and fat levels plus support for a healthy immune system—plus a sensory experience that will have him loving every minute of mealtimes.